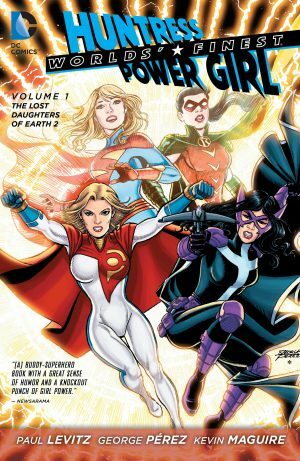 Worlds’ Finest with its intriguing title apostrophe switch from the traditional DC use was launched with the premise of Huntress and Power Girl set on returning to their own Earth. It’s seemed for some while as if this was just some pointless aim, as very little progress occurs over four volumes since the opening chapter, yet now the technology is within their means. As has been the case since the second volume, we’re once again presented with a rotating selection of artists. At least this time there’s not the gulf in style present for First Contact, but standards have slipped since the series began. Tyler Kirkham (sample art right) manages a good approximation of the late 1990s Image style, all pouting lips and objectification, but with effort put into the layouts and backgrounds. He’s an artist to watch as he develops. Allison Borges draws a nice Superman at the end, and the few pages by Scott Kolins are professional, but too much of the remainder lacks inspiration. It’s just page after page or ordinary superhero art. Having spent much of the series providing layouts for R.B. Silva, Scott McDaniel (sample art left) finally pencils an episode himself. The story’s equally unsatisfying. Paul Levitz sets things up well, if at length, detailing what’s required to ensure passage home, and the diversions along the way. 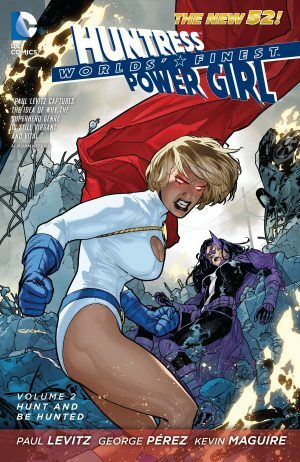 Huntress being uncertain if she wants to return to what may now be a devastated world is interesting, and well contrasted with Power Girl’s unbridled enthusiasm. Also nice is the development of Tanya Spears. The intrusion of Desaad was perhaps inevitable given events of Control Issues, but comes across as forced and clumsy. However, the worst aspect of Homeward Bound is the conclusion. 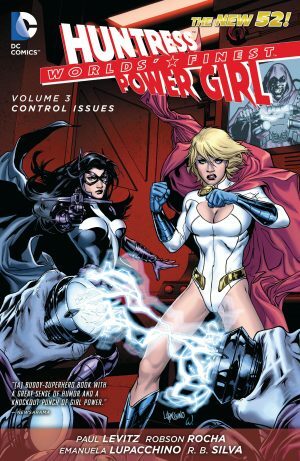 Four graphic novels and the first four chapters of this have run the idea of a return home in the background, and when Huntress and Power Girl return home their story ends despite plenty of hanging questions. 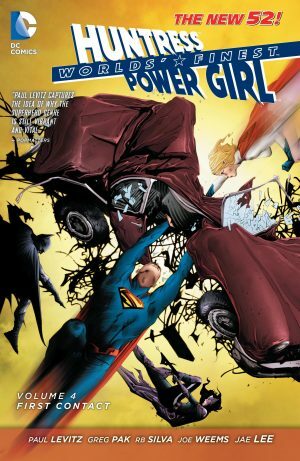 A brief glimpse at a possible future is followed by two further looks into the past, and the next volume, The Secret History of Superman and Batman, concentrates on those characters. Feel cheated? DC’s marketing department apparently views commitment to a five graphic novel series as just a prelude. 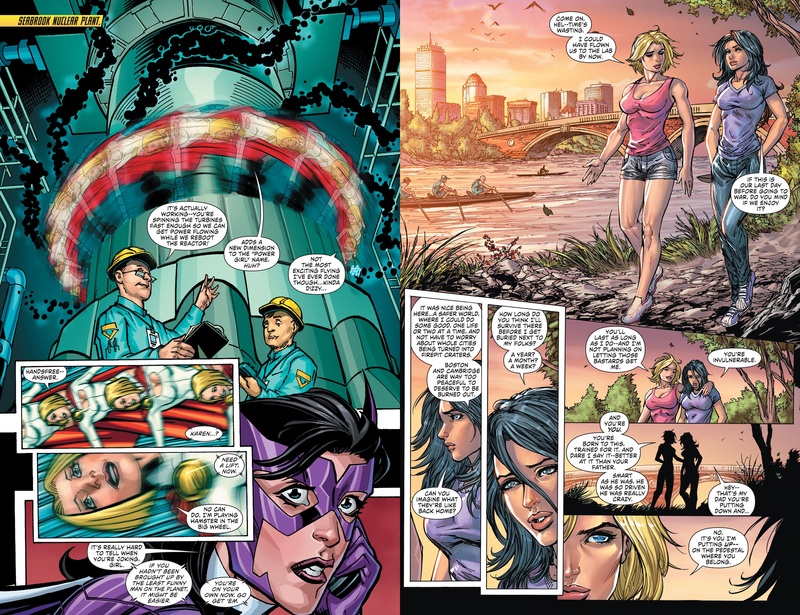 Now that Huntress and Power Girl are back home they have two more books to sell you, and if you want to discover how things play out for them you’ll have to pick up both volumes of Earth 2: World’s End.